Today I made a Menstruation Mat – a beautiful round mat to honour the daughter of a friend who will soon make her passage into Womanhood. Her mother asked me to make it and intends to embellish it together with her daughter in an intimate home-crafted celebration. 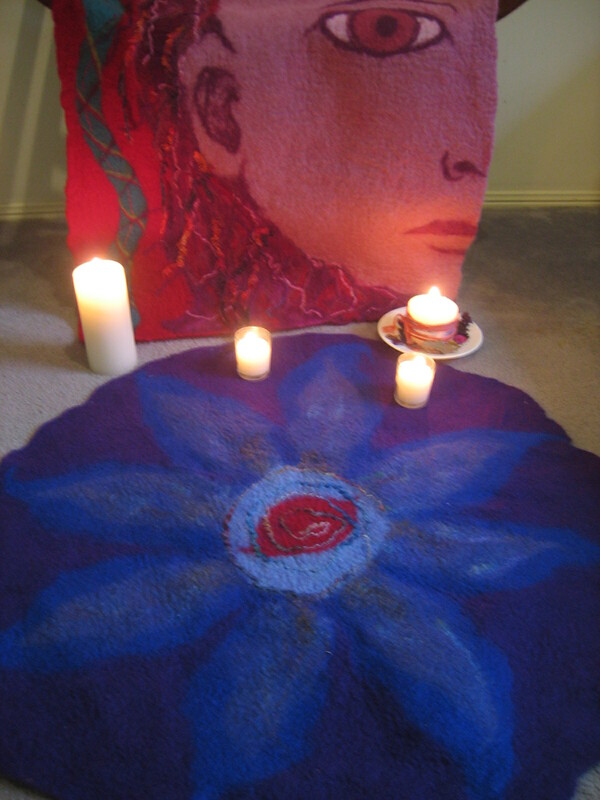 This mat is truly blessed already with the spirit of sisterhood, as another two friends kept me company today and helped to make the mat. What a lucky young lady to be held in such esteem at this transition point in her life! The mother of this young woman will be creating her own special ceremony for her daughter, however Sister Blessings are a ceremony that I offer as part of my Celebrant services. If you are interested in finding out more, please visit Ceremonies With Spirit.